Product #20827 | SKU AW-CA20T6G | 0.0 (no ratings yet) Thanks for your rating! 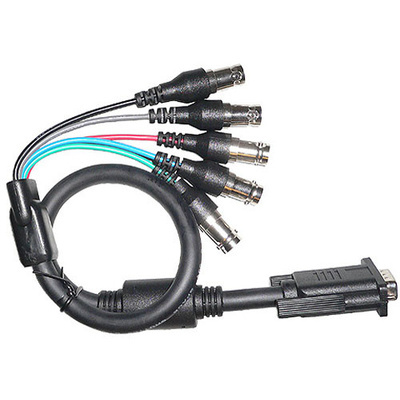 The Panasonic AW-CA20T6G Breakout Cable is used to provide control, component, and composite output and RS422 serial control for HE50 series cameras. It has a 20-pin Hirose connector at one end and 3 BNC and 2 RJ45 connectors at the other end.